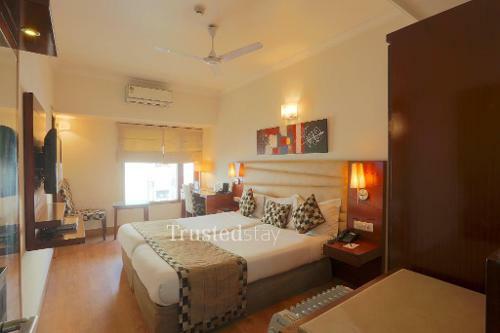 This Service apartment in Defence Colony is located in A block, near DCA's JCO Club, close to Sewa Nagar Railway station, about 3.7 kms from All India Institute of Medical Sciences and about 18.2 kms from Indira Gandhi International Airport. 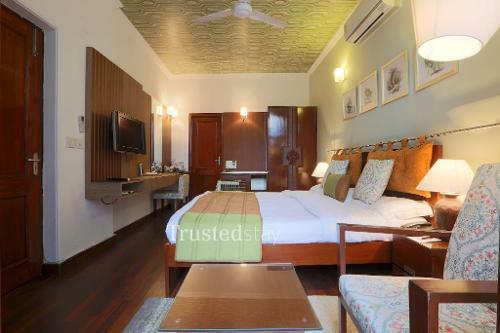 Its a fully furnished private room with queen bed approximately 150 sqft in size with an attached bathroom but is a part of an apartment with a common living area. 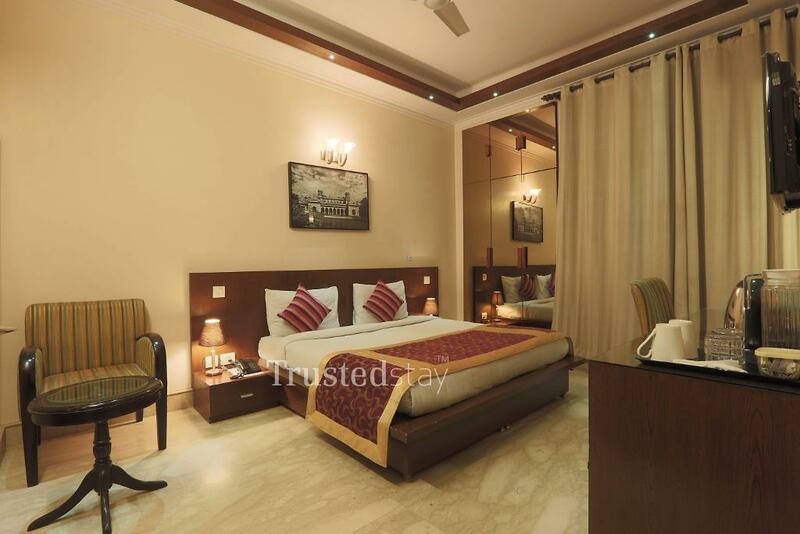 Its a fully furnished private room with King Bed approximately 180 sqft in size with an attached bathroom but is a part of an apartment with a common living area. 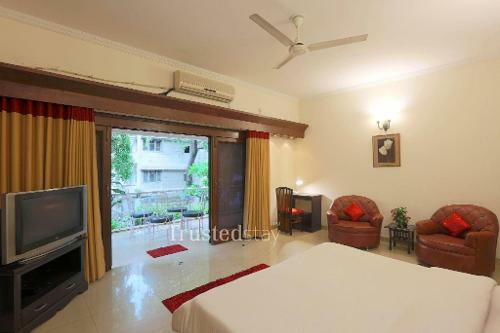 Its a fully furnished private room with a small sit out approximately 200 sqft in size with an attached bathroom but is a part of an apartment with a common living area.